Welcome to the office of Dr. William McMaugh, a family dental practice that offers comprehensive care to our friends and neighbors in Harleysville, Souderton, Lansdale, North Wales, and the surrounding areas. Our team is here to provide you with a positive, comfortable experience, unlike anything you’ve experienced before. If you have a certain procedure in mind but don’t see it included here, please don’t hesitate to contact our Harleysville dental office. Chances are we can help! Refer to our dental services page for more information. Are you ready to experience the difference that personalized care and attention to detail can make in your oral health? Please contact our Harleysville dental office to arrange a visit. We look forward to meeting you! How long has Dr. McMaugh been practicing dentistry? How will you address my unique dental needs? I have lots of questions about my oral health. How can you help me? Do you have office hours that fit my schedule? Will you see same-day emergency patients? Do you provide second opinions? Do you ever need to refer patients for treatment? We want to be your partner in oral health care and are committed to providing all the services you need to enjoy a healthy, radiant smile. Whatever treatment or procedure we provide you with, you can rest assured that it will be handled by skilled professionals who genuinely care about your needs. Preventive treatments are essential for protecting your oral health. At our Harleysville dental office, we provide routine services like dental exams, x-rays, and teeth cleanings for the whole family. Gum disease is a serious problem, and we use gum infection therapy to restore your healthy smile. If you have missing teeth, we have options like dental implants, bridges, and implant-supported dentures and partials. Dr. McMaugh is qualified to perform oral surgery and can handle the placement of your implant as well as other surgical procedures like extractions. 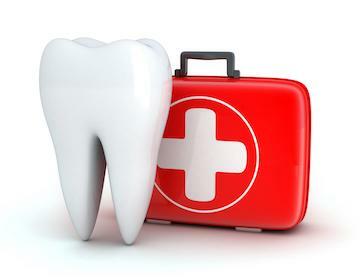 Dental insurance and financial coverage are important to everyone these days. We are in-network providers with Cigna, Assurant, and Delta Dental. In some cases, we also participate with some Aetna PPO, and United Concordia ALLIANCE plans under the umbrella of Assurant. We are happy to file all insurance claims for your convenience. If you have questions about your insurance, we will work with you to get the answers you need to maximize your benefits. Patients have been choosing Dr. McMaugh for high-quality dental care in Harleysville, PA for over thirty years. His warm approach and commitment to excellence have earned him a reputation as a professional who treats every patient with the utmost respect for their concerns. In fact, our friendly, caring team has been providing generations of families with exceptional care for many years. Our longtime patients continue to trust Dr. McMaugh and our team to provide outstanding care in a friendly, welcoming environment. We are proud of our commitment to provide individualized dental care for our valued patients. Establishing trust is essential because we want you to feel that you can always turn to us when you have a problem. As we build a relationship with you, we also learn about what your oral health priorities are and how we can best help you achieve your goals. In dentistry, there’s often more than one way to approach a problem. Dr. McMaugh will explain all your treatment options and help you choose the one that best fits your unique needs. We take into account your personal goals, lifestyle, and budget to provide personalized care that is ideally suited for you. At the dental office of William T. McMaugh, DDS, we welcome and encourage your questions. Nobody expects you to be an expert, and you deserve to be informed about the things that impact your oral health. Including you in decisions about your treatment is not just a courtesy. You are an integral part of the decision-making process, so you always know what to expect. Our team will work closely with you to make sure you are completely informed about your oral health and treatment options. We have shared many of the questions we commonly hear on our FAQ page. If you don't see the answer you're looking for, don't hesitate to call our dental office at (215) 256-8285 and a member of our team will be happy to assist you. 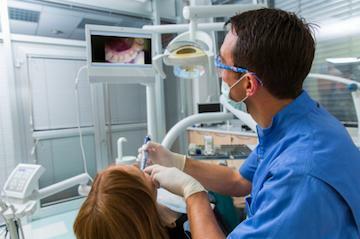 Many patients have concerns about the necessity and safety of dental x-rays. We want to take this opportunity to alleviate those fears and concerns and let you know exactly why x-rays are necessary. Dental x-rays are an essential diagnostic tool that allows us to see what's happening in your mouth with your teeth, jawbone, and jaw joints depending on the type of x-ray we're taking. The images obtained allow us to detect any concerns such as tooth decay very early on allowing you to choose less complicated treatment procedures. Next, let's discuss the safety of digital x-rays. Thanks to the advanced technology used at our Harleysville dental office, we can now utilize digital x-rays which require no chemicals for development and emit 80 percent less radiation than traditional x-rays taken in the past. Not only are these images much safer for our patients, but they are also much better for our environment. Do you feel like family and work obligations sometimes make it difficult to get the dental care you need? At William T. McMaugh, DDS, we decided that if we’re going to be there for you when you need us, it has to be when it’s convenient for you. 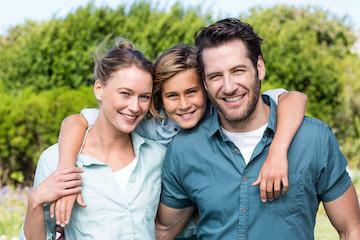 It’s our job to make it easy for you to receive the dental care that promotes your family’s overall health and wellness. At our Harleysville, PA dental office, we offer convenient extended evening hours three days a week so you can schedule your appointments after work or school. We also replace lost fillings or crowns, but you may not need to see us for same-day treatment. In any case, always call us first, and we’ll listen to your concerns and let you know if we need to see you right away. We will make every effort to get you in for treatment as soon as possible, usually the same day. After hours, you are welcome to call our emergency number, where a friendly, familiar voice will always greet you. With dental procedure, you deserve to have all the information necessary to help you feel comfortable about your decision. We are always happy to evaluate your situation and make recommendations for treatment. If you've been told you need a particular procedure and would like a different perspective, please call our Harleysville dental office, and we'll be happy to arrange a dental appointment with Dr. McMaugh. We are committed to making sure you always receive care that is most appropriate for your situation. If we find that your oral health needs would be better served by a specialist for a particular procedure, we will provide a referral and follow-up restorative care as needed. If you are ready to schedule a dental appointment or would like to learn more about the exceptional dental care we offer at our Harleysville, PA dental office, please call us at (215) 256-8285. We offer extended evening hours three days a week, so you can arrange an appointment that doesn’t interfere with your busy schedule. You can also reach us anytime by using our convenient online contact form. For location and contact information, please view our contact page.